Brussels is a great city for kids of all ages to enjoy. Take the children for a stroll through the streets of the city, and don't forget to stop and check out with Mannekin-Pis, which the kids will have a good chuckle at. 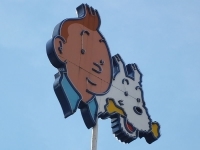 A highlight for lovers of cartoons is a visit to the Belgian Centre of Comic Strip Art, featuring displays of favourites such as Tintin and the Smurfs - a real treat for children. During the summer months, a trip to one of Brussels' water parks is a must, such as Walibi Belgium where dozens of slides and rides can be enjoyed. A trip to Bruparck is not to be forgotten either, where attractions such as the Oceadium water park, Mini Europe and the Atomium can be seen and families are guaranteed a fun-filled day. When the weather is miserable and taking the children outdoors isn't an option, head to one of Brussels' fabulous museums, such as the Brussels Children's Museum for the little ones, or the Museum of Natural Sciences of Belgium for slightly older children where the dinosaur exhibit is sure to thrill! 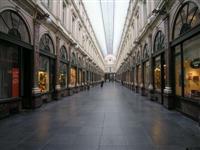 Children will also enjoy a play or film at the Galeries Royales Saint Hubert, which means that should the weather be dreary, children will still be entertained.